The observant among you will have noticed a slight drop in the frequency of our blog postings recently. We’ve been back on dry land since the end of September. And now we’ve hung up our tiller pin for good and passed Felucca on to the next set of worthy adventurers. It’s terribly sad in some ways. 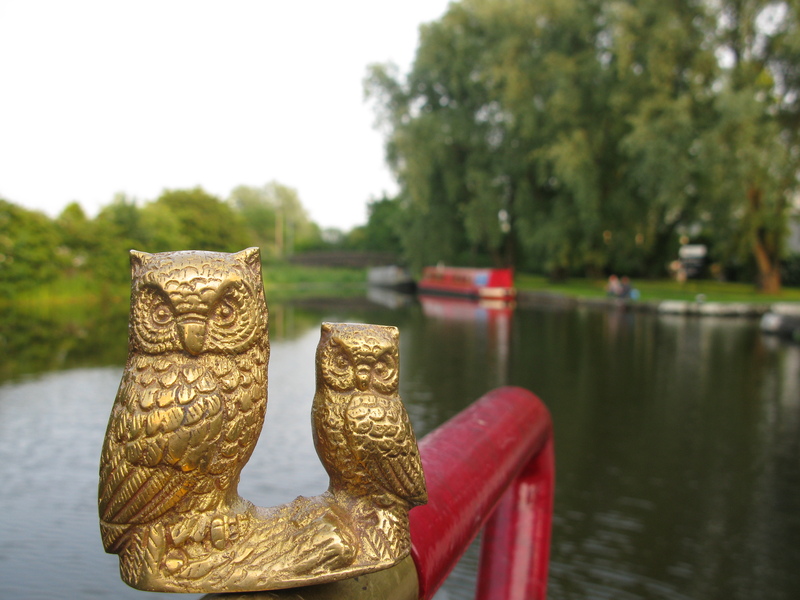 No more magical meanderings along canals that snake back and forth across beautiful countryside. No more navigating by bridge and lock numbers. No more waking up to a different view every morning. No more visits from friends and family. 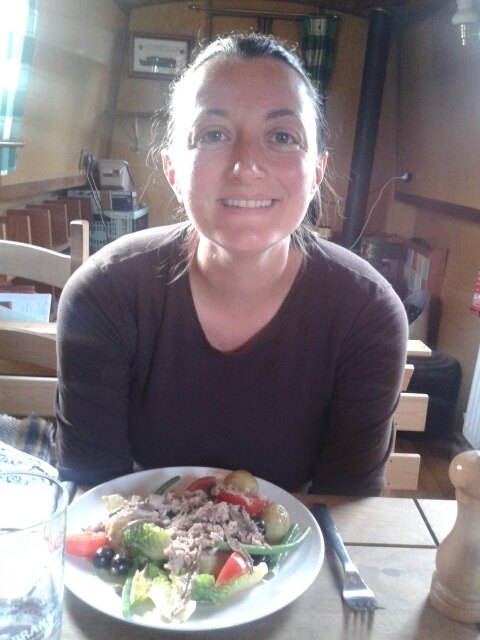 No more pub lunches every day or boat cuisine! Before we set off, I said to Tom, “if we hate the life, we can go back to our jobs after six months”. 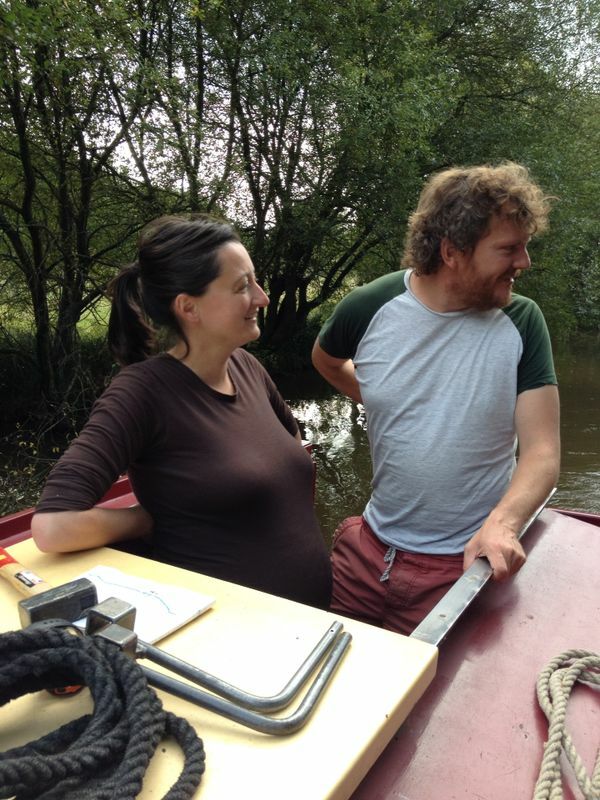 Eighteen months later, we’d been on all the major canals, to famous canal towns, to all seven of Robert Aickman’s wonders of the waterways, on tidal rivers, on the sea. We’d been boating in sun, rain, hail, more rain, thunder and more rain. We’d seen a lot of wildlife. 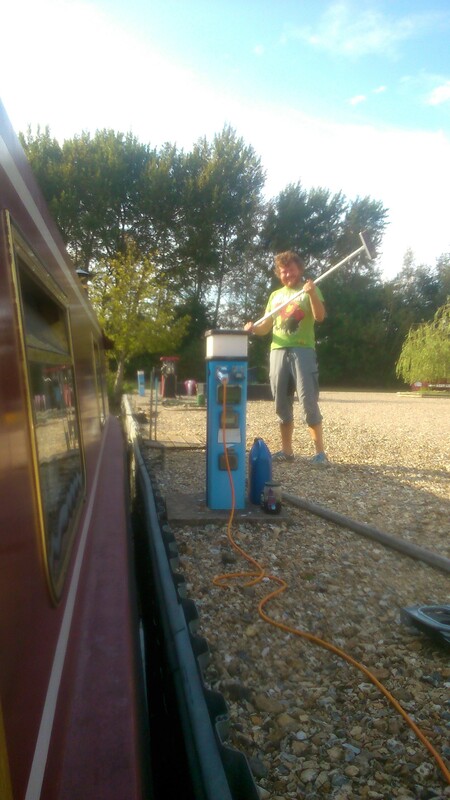 I’d finally mastered the art of working locks and Tom could service an engine standing on his head. And, hey, in plenty of other ways life is pretty damn good. We have a Margaret to play with now. And we have roses and tomatoes in the garden and a proper toaster (joy of joys) and our Felucca teapot is outside the front door. 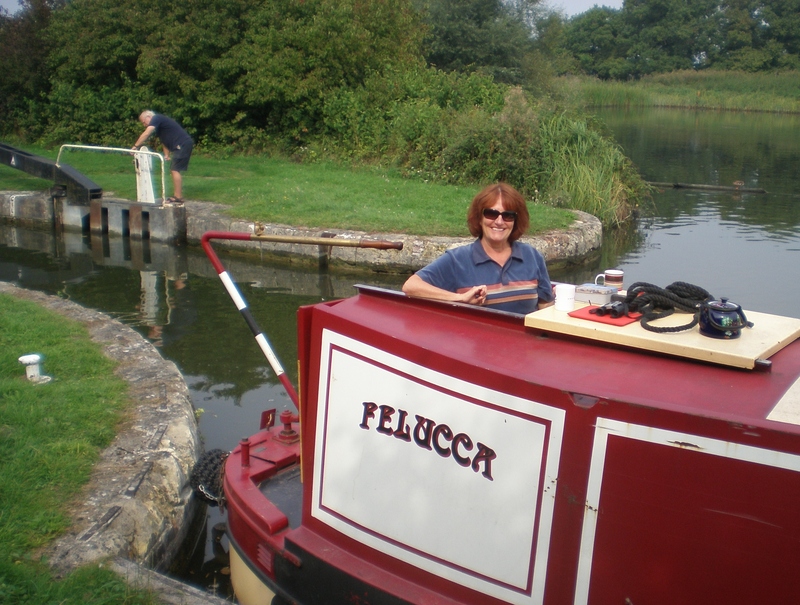 And next week we’re going for a day cruise on a part of the Lea and Stort that’s new to me. Thank you, Felucca, for all the memories. You get no posts for ages then four in one day. London Bus syndrome has struck the Felucca blog! Or maybe we just don’t want to pack. 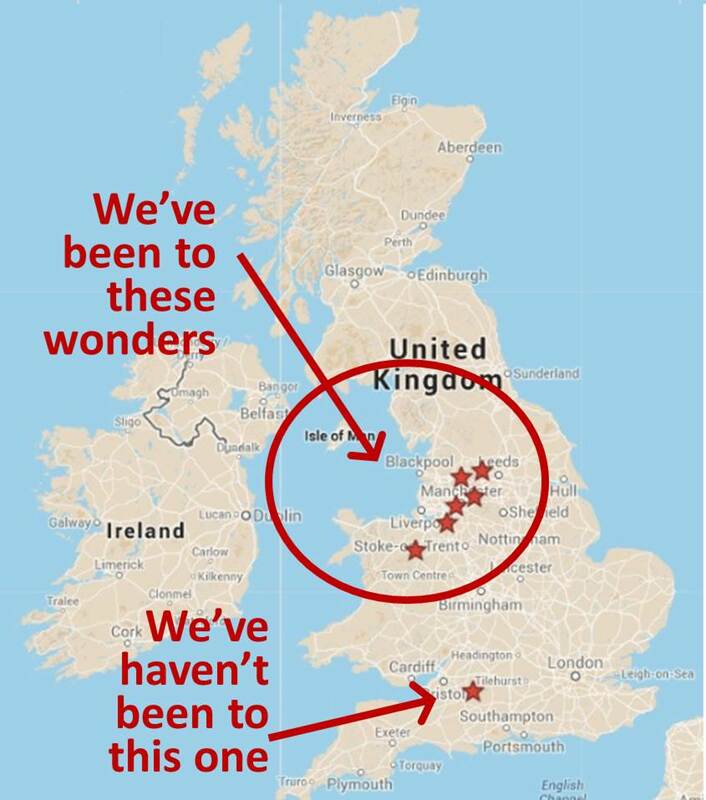 Anyway, we have now updated the map of our travels this year. See image below – or head over to the Where We Are page for more detail and zooming in fun and descriptions. That’s it now folks. Absolutely no more posts today. G’night. Felucca’s route 2014. 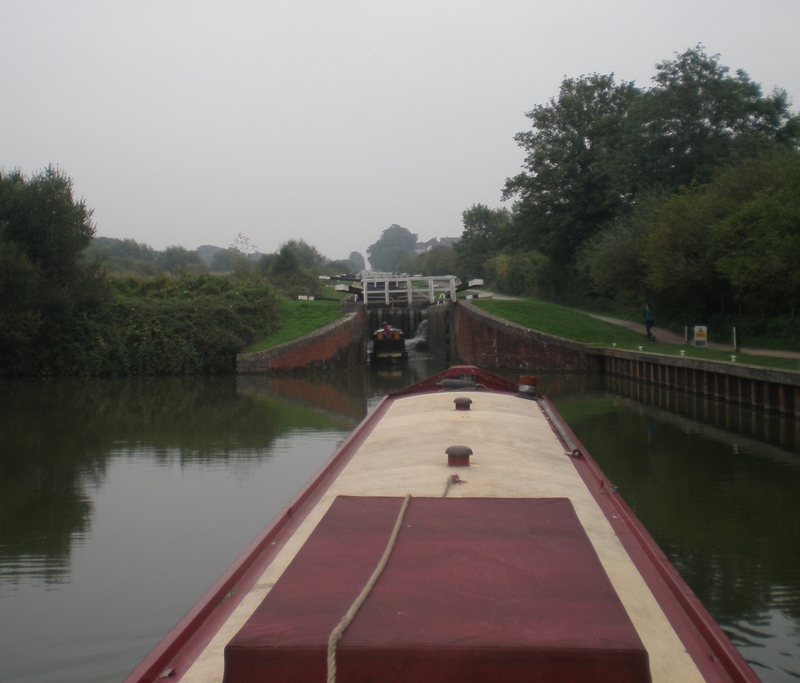 From Braunston to Frouds Bridge, along the most indirect route ever. 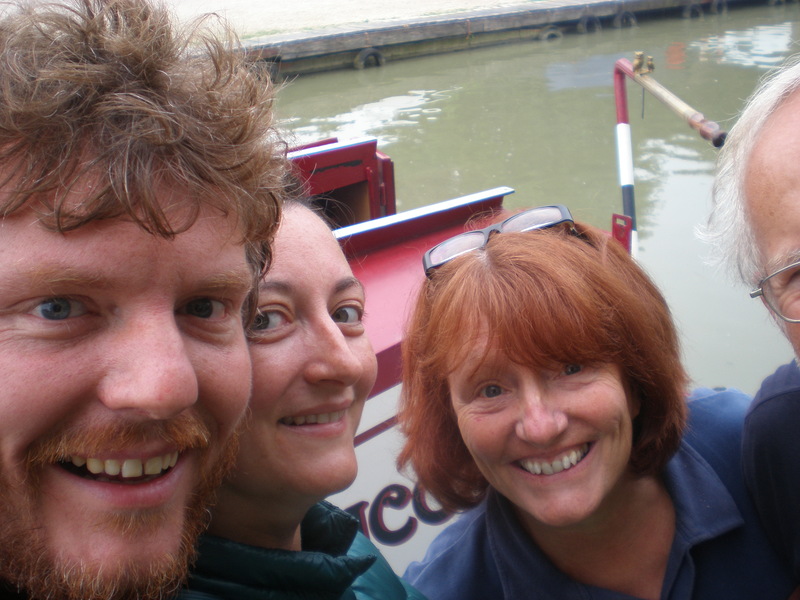 We’re at Frouds Bridge Marina now, busy packing, cleaning and generally emptying the boat of 18 months of stuff. Notice how Tom is hard at work while I swan around with a camera! 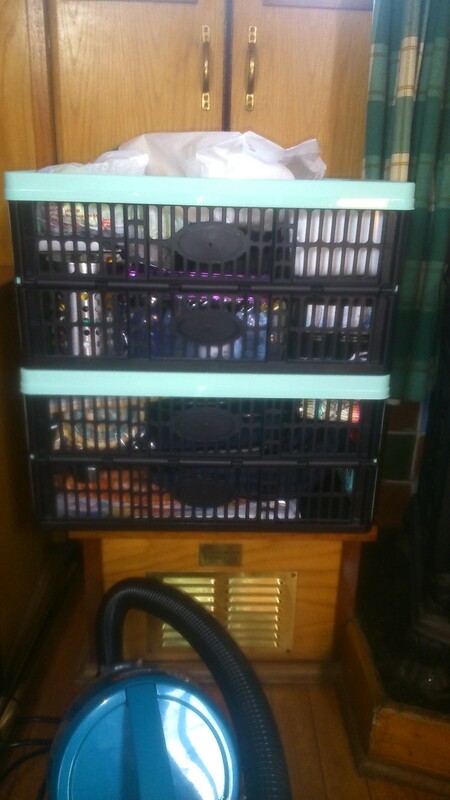 Boxes of stuff. And our new hoover just in shot. Move over David Bailey! 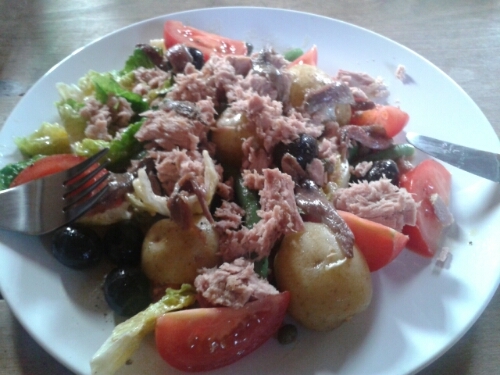 Salad a la bottom de la fridge! 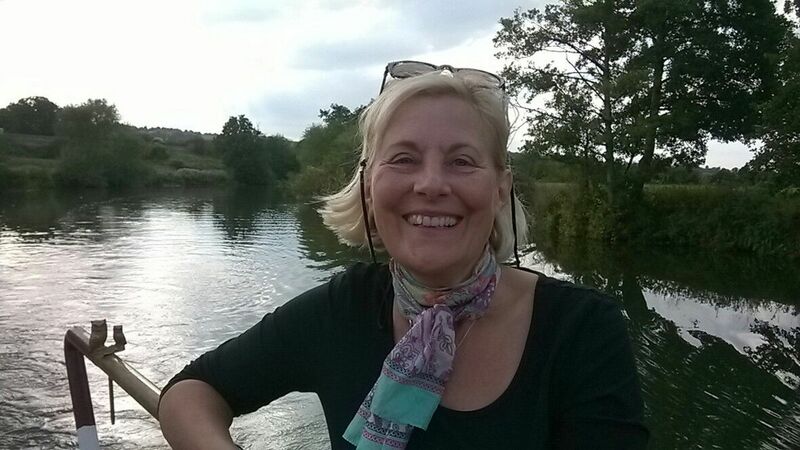 The last eighteen months have seen us getting around a fair bit of the inland waterways network. 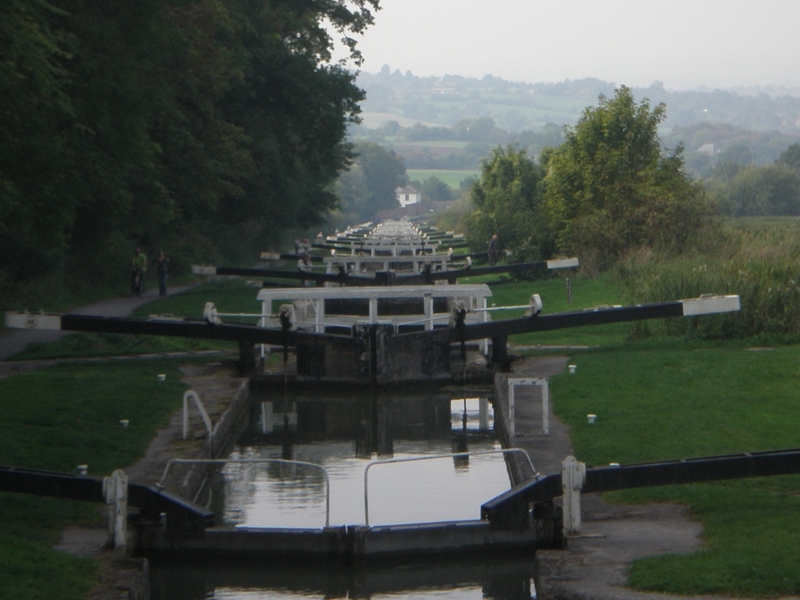 Three crossings of the Pennines, all around the Midlands, out to the Nene and Trent in the east, a foray into Wales on the Llangollen, down to London Town… But always at the back of our mind was the fact that we were planning to leave the Kennet and Avon untouched. 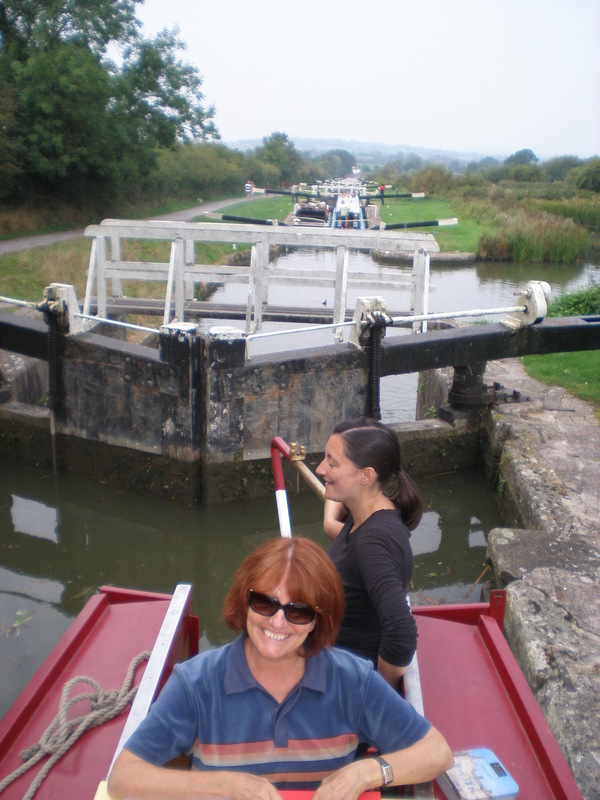 Then the grand hurrah of our Severn trip brought the great canal of the south west back into play. Hurrah! Boating opinions are very mixed about the K&A. 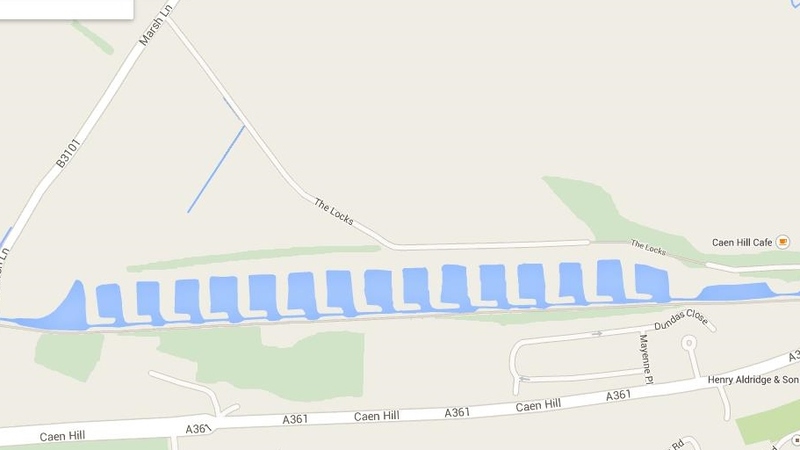 It’s a real marmite canal. Some love the scenery, the mix of river and canal, the beautiful towns it passes through. 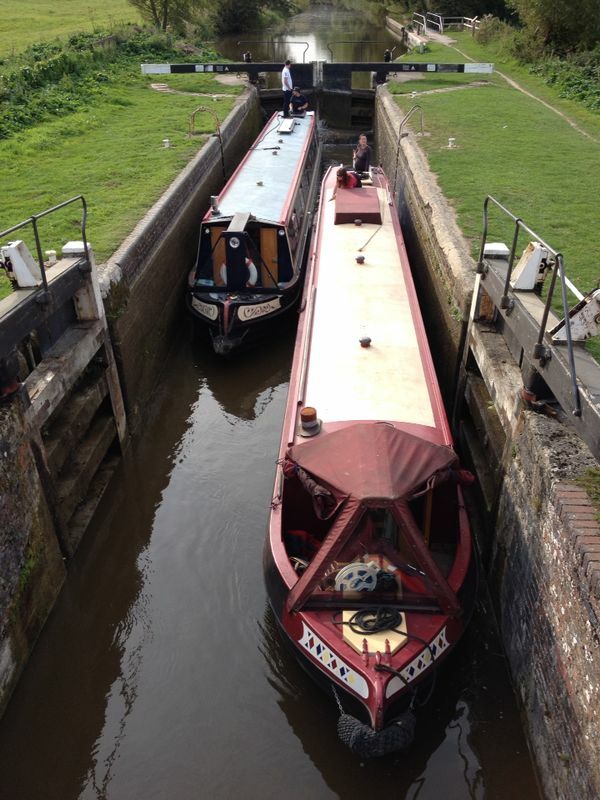 Others say it’s back-breaking and full over overstaying canal boats. For me, it’s neither really. 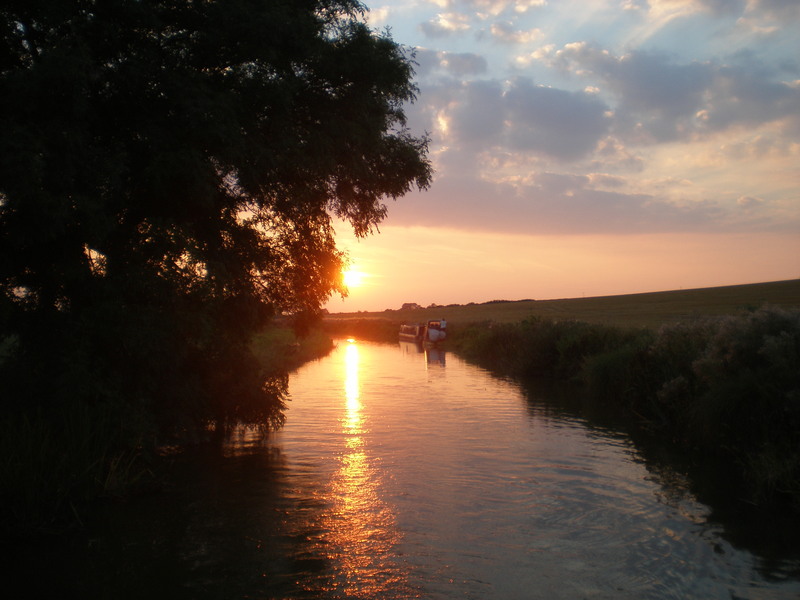 Sure it’s gorgeous in parts – but so are many other canals. It’s definitely not that back-breaking – though maybe that’s just because nothing will ever seem that way after the Calder and Hebble and the Rochdale! And in terms of boats not moving around as they should be staying put and hogging all the temporary visitor moorings – well, I don’t know how bad things were a couple of years ago, but it’s nothing like as bad now as I’d heard and nowhere near as difficult to find a place to moor as London was this time last year. 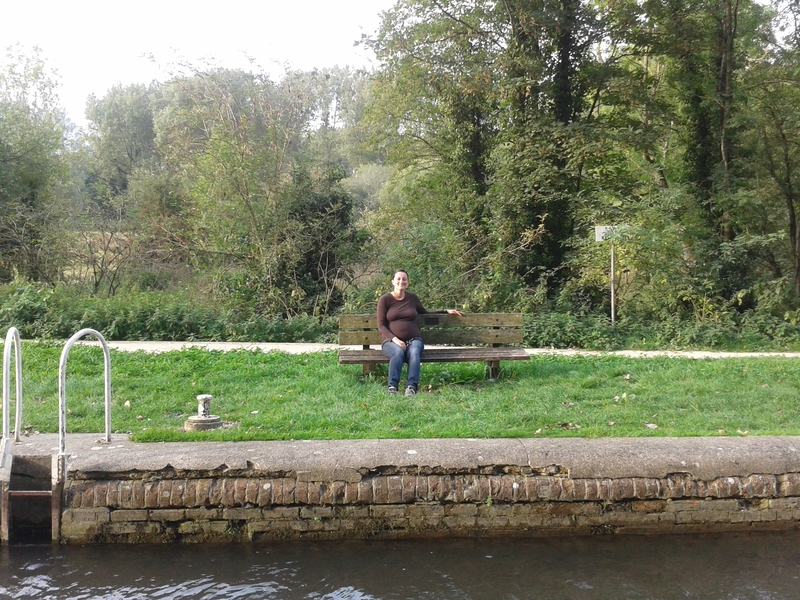 What the Kennet and Avon has provided is a sense of change. 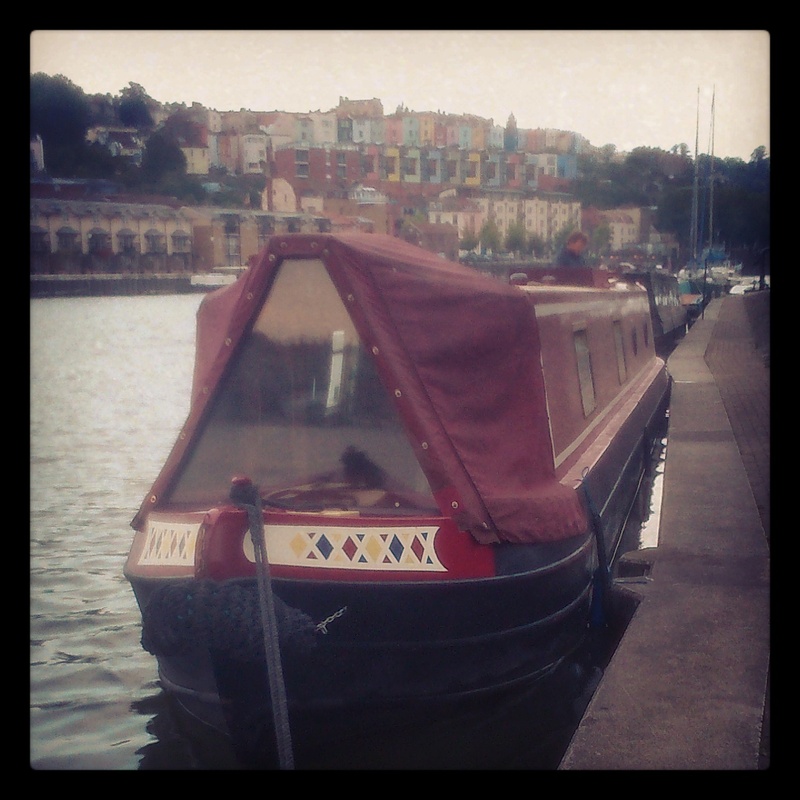 Big city Bristol with its bright lights and its enthusiastic embrace of the water. Laid back, handsome Bath, where we were able to pull up pretty much outside Sue and Neill’s house and drop in for tea (cheers!). 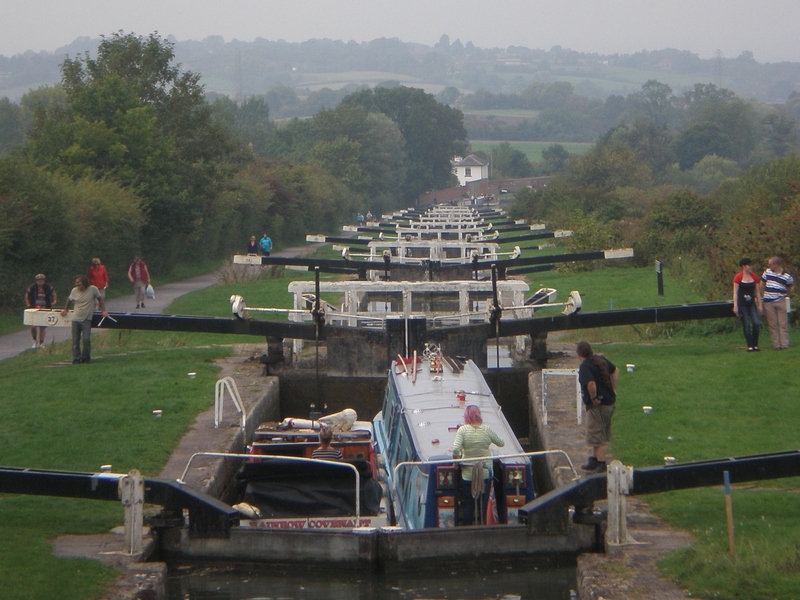 The lovely, welcoming towns and villages along the way: Bathampton, Kintbury, Newbury, Devizes. An epic flight of locks! The most gorgeous late summer pootle along the River Kennet yesterday. 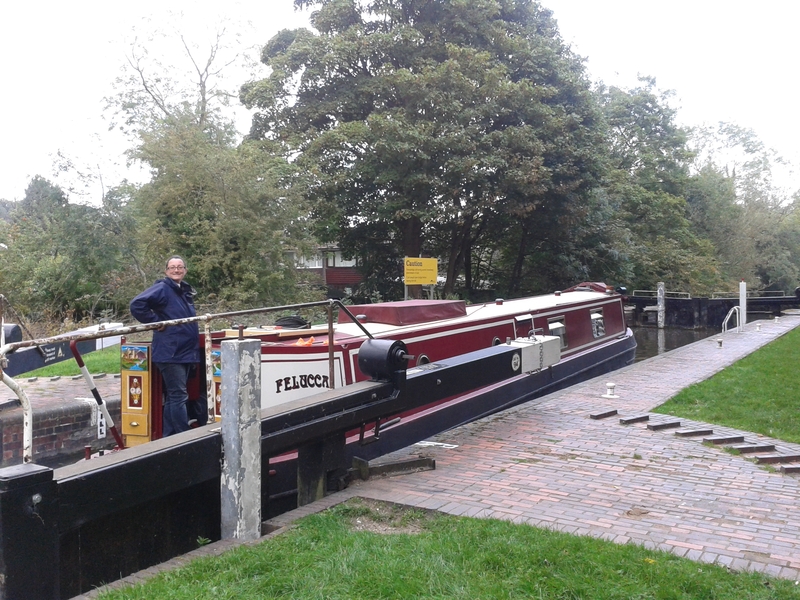 The K&A is not a one trick pony like, arguably, the Bridgewater (wide, no locks, bit dull) or the Huddersfield Narrow (exciting but unrelentless in locks and tunnel action). And visitors. We’ve had lots of visitors recently too. 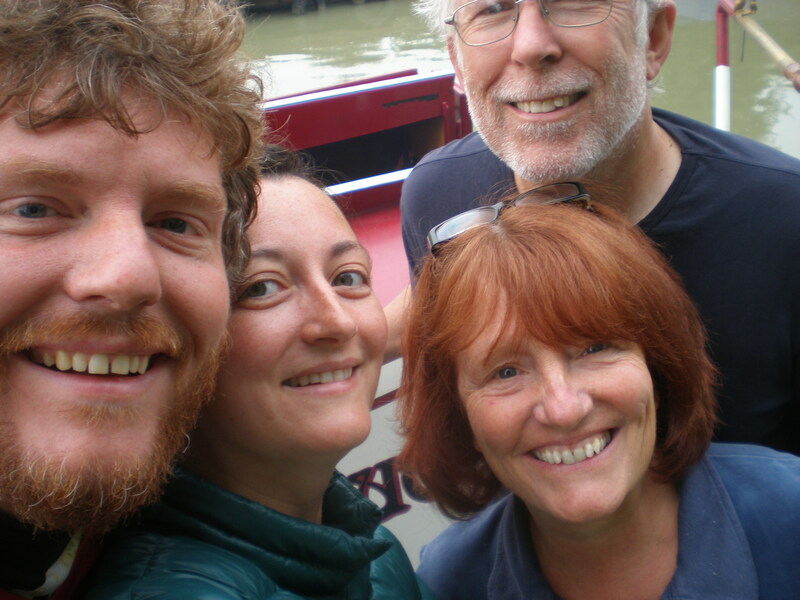 Thanks to Maman, Luke, David, Suzie, Sue, Neill, Agnes, Joe, Nick and Elizabeth for helping make our final weeks on board Felucca full of great fun and games. 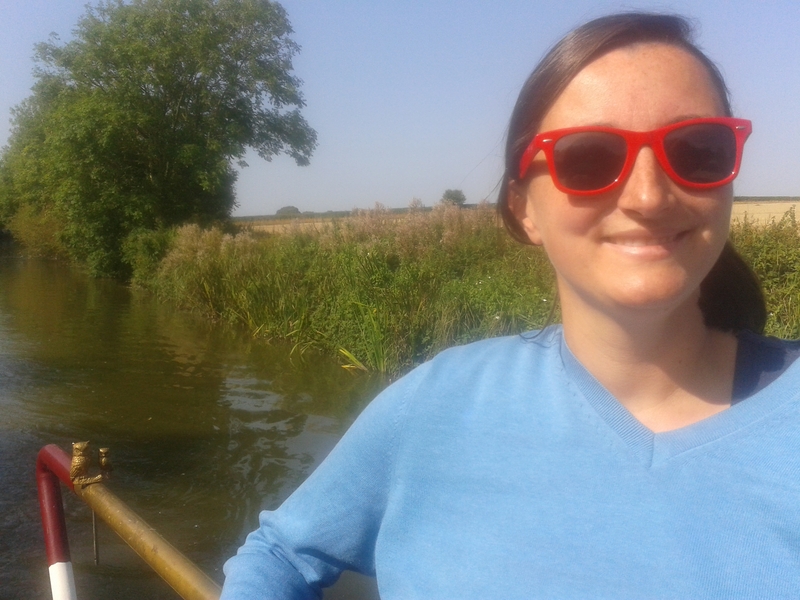 Maman takes tiller to steer us towards Bath. 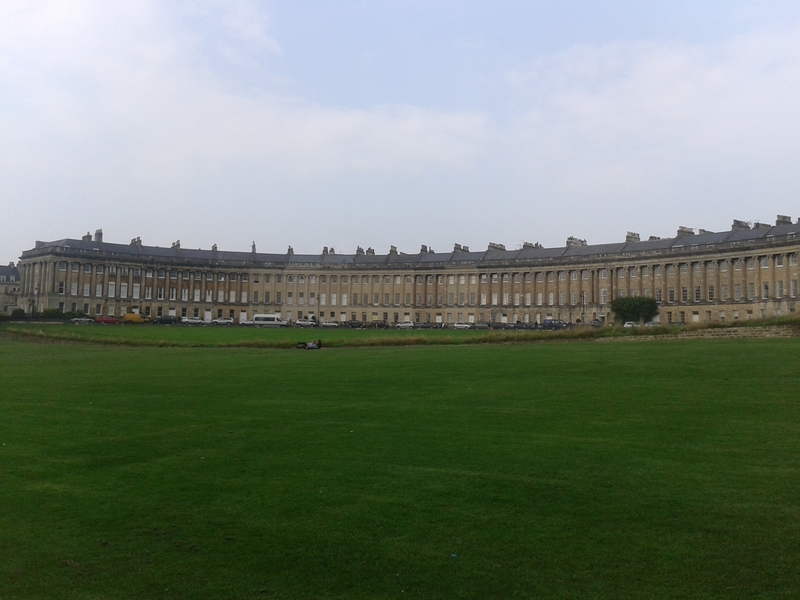 Bath Deep Lock. No signs, no lock-keepers, no worries. 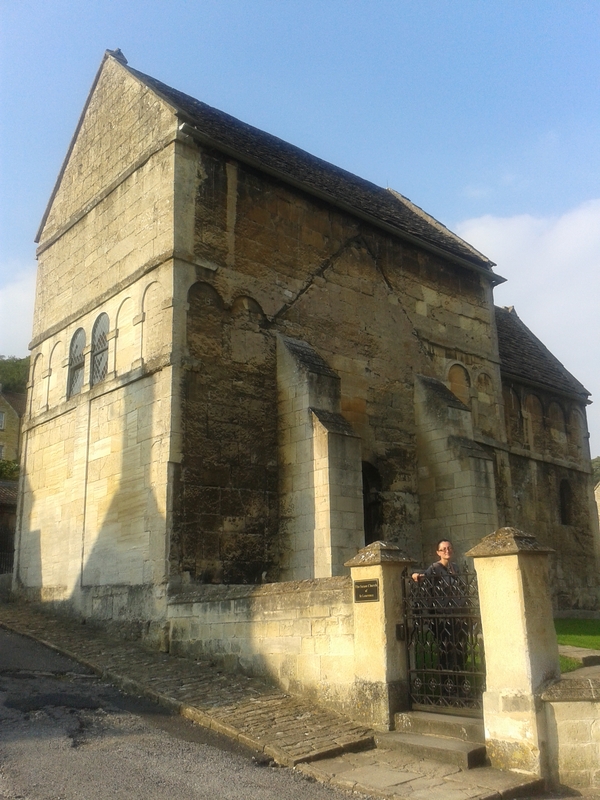 Saxon Church in Bradford on Avon. My what a big lump of coal you have there. 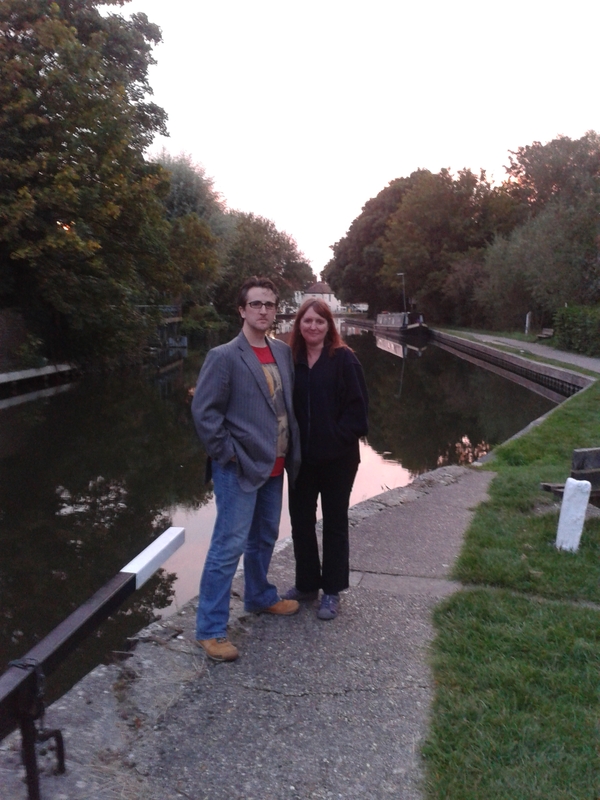 Crofton Pump Station Posing. 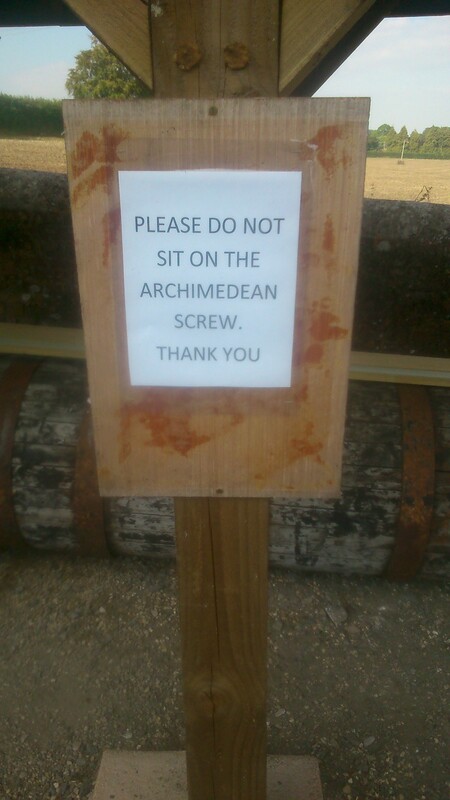 Maybe I should write a book on weird signs I have seen in pumping stations. 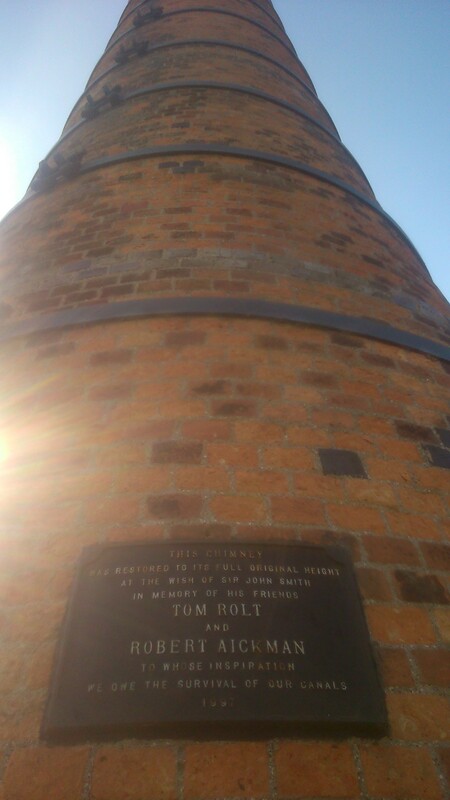 Monument to the man Rolt and the other man Aickman. At Crofton. 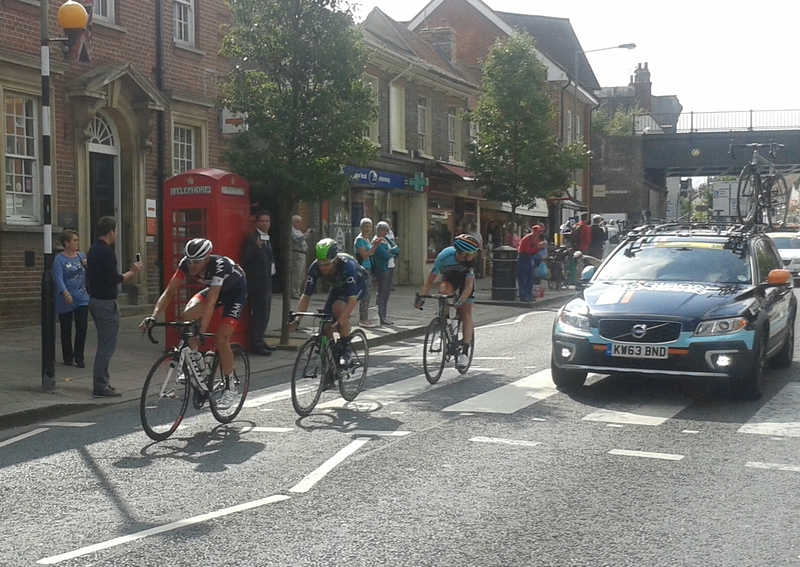 Tour of Britain sweeps through Hungerford. Go Dowsett (in shot)! Go Wiggo (not in shot)! Wonder what we’re looking at? Not the camera, that’s for sure. 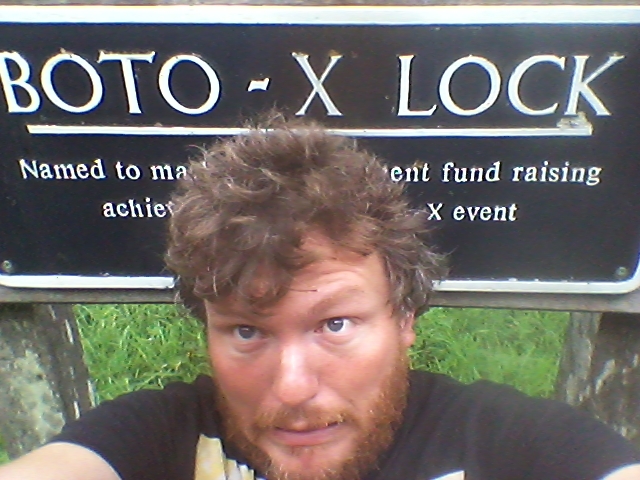 On 15th June 2013, we edged warily across the first of the Seven Wonders Of The Waterways, the Pontcysyllte Aqueduct. Finally, a whopping 387 days after that, we made it darn sarf to that last elusive star and bagged the set. 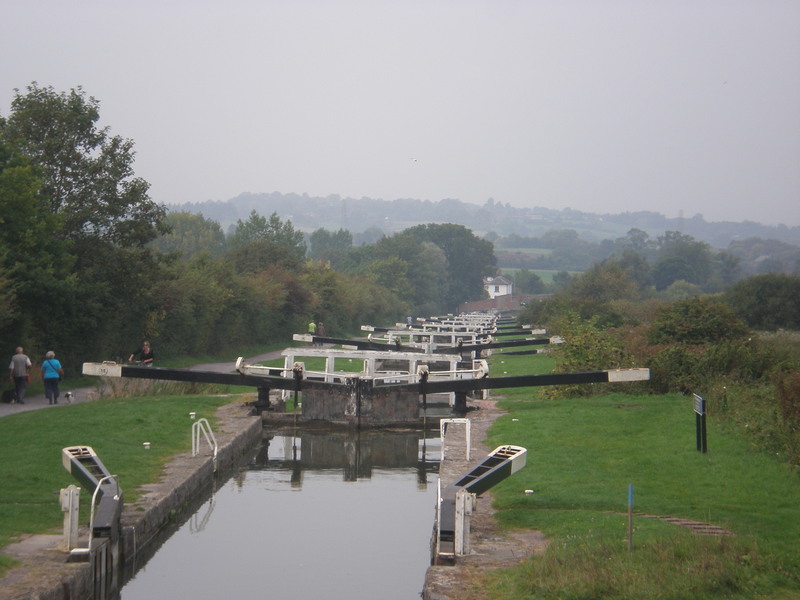 Caen Hill Locks are on the Kennet & Avon canal. The “K&A” connects the Bristol River Avon (which flows into the Severn) to the River Kennet (which flows into the Thames). 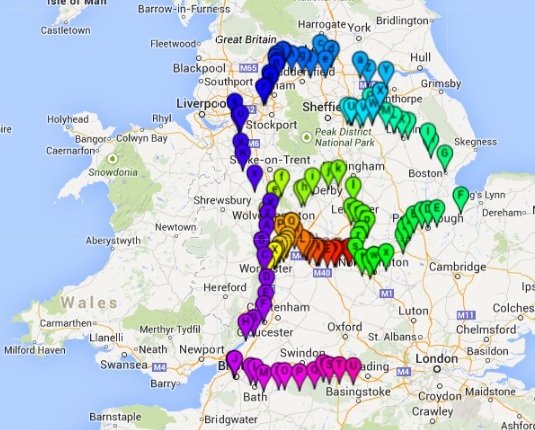 It traverses Somerset, Wiltshire and Berkshire, to link Bristol and Reading. It is the only great extant canal of “the south”. 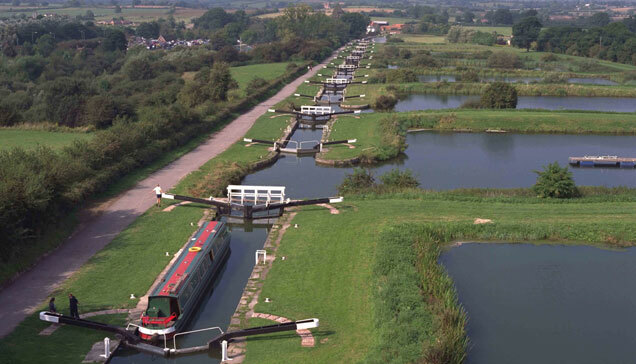 And it is a controversial waterway amongst canal travellers, who view it as either backbreaking and over-rated, or as breathtaking and splendid. 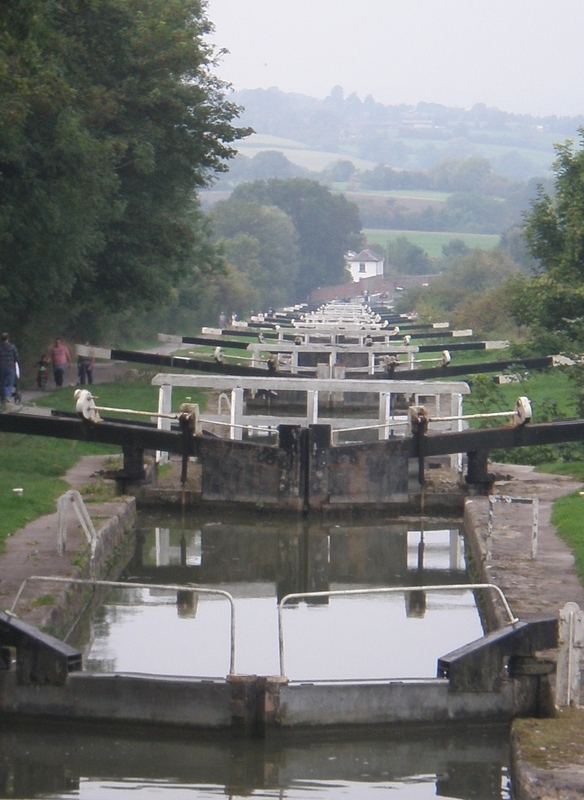 These 29 locks which take the canal up 237 feet in 2 miles, exemplify this debate. A marvellous piece of engineering, with plenty of wildlife, and majestic views; yet also incredibly hard work. Me, I like the combination, especially when you have plenty of crew to share the labour. 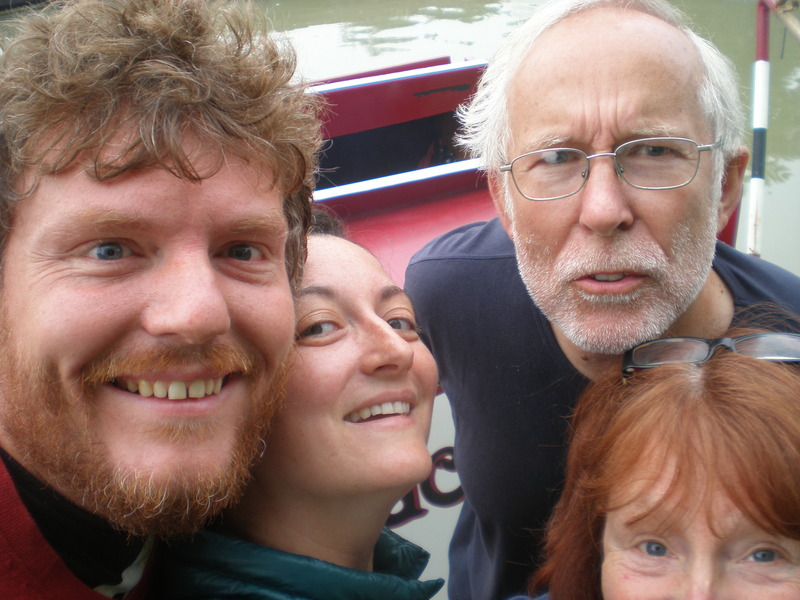 And so it was that last Saturday, Felucca set sail up Wonder #7, with aforementioned crew, here pictured clowning around at the bottom of the flight. They won’t be smiling soon! 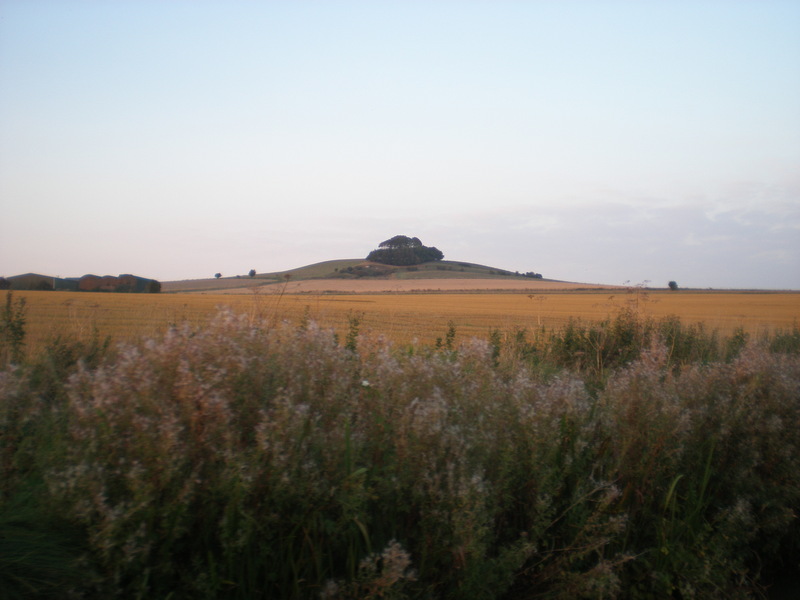 And then onto Caen Hill proper. 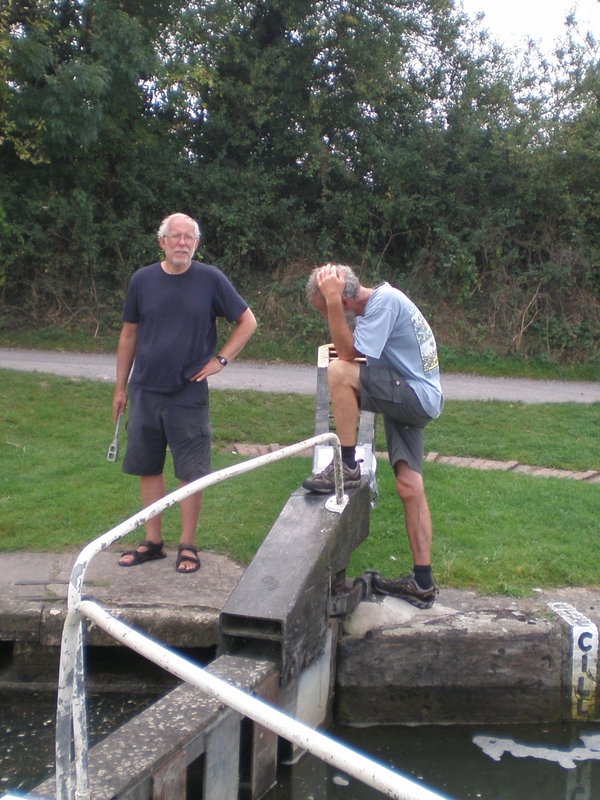 There are longer lock flights in the country; there are deeper locks too, and harder ones. But these sixteen are notable for how close together they are, and the engineering panache required to pull off such proximity. Each lock is separated by a very short intervening pound of water; you drive out of one, and seconds later are in the next one already. 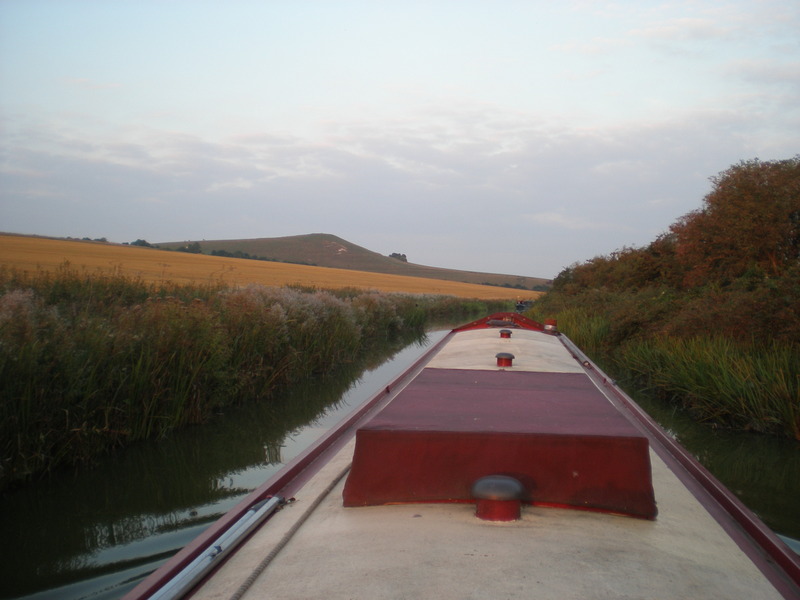 This makes things very efficient from a boating point of view; your crew can stay on the bank, scurrying back and forth and nipping lithely from lock to lock, going up the whole lot in about 2 hours. Such a swift ascent would have been preferred by working boatmen for whom time was money; much better than tackling the same ascent spread over five miles, say, which would take a lot longer, with much energy wasted walking between locks, rehitching the horse, getting on and off the boat, etc. 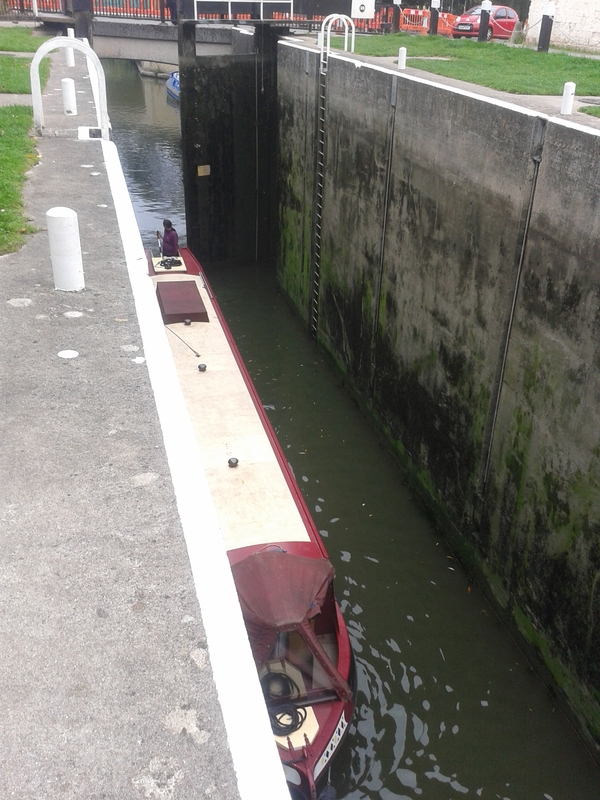 But the short intervening stretches between the locks were an engineering headache. Each chamber is filled from the canal above. If that stretch is very short, filling an eight-foot lock will drain it, rendering it shallow and unnavigable. 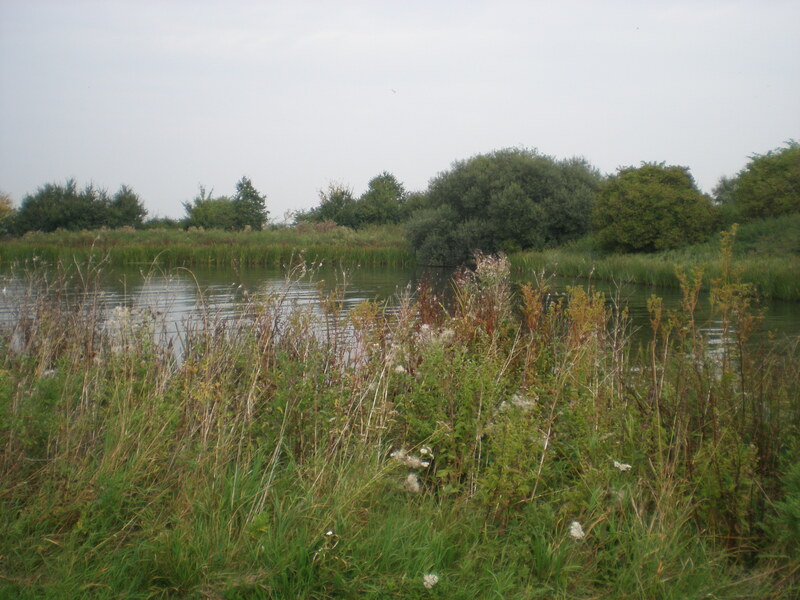 To prevent this, head engineer John Rennie and his gang of navvies built huge “side ponds”. 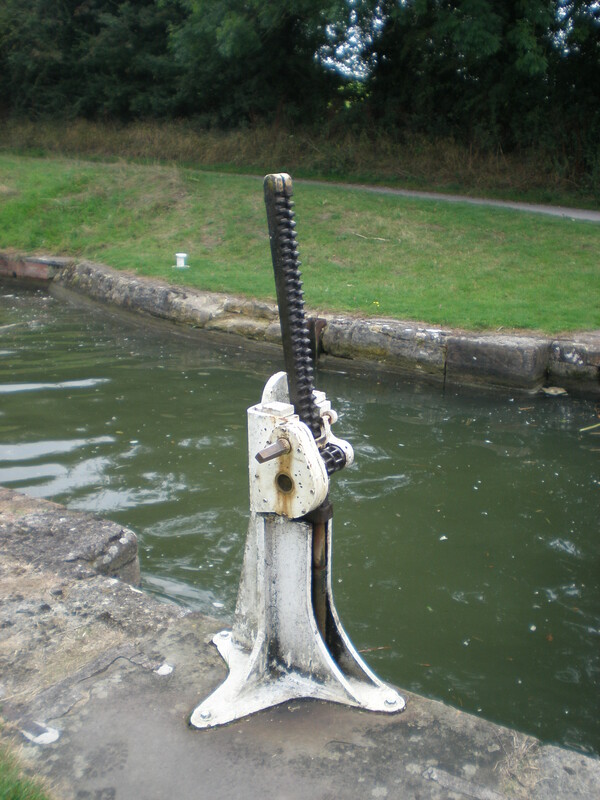 Each of the problematic short stretches was equipped with a big reservoir of water off to the side; this prevented the level from changing significantly when the locks above and below were filled and emptied. When we reached the bottom of this lot, we had a great stroke of luck, catching up with Glynn and Pete on NB Racundra. Sharing makes things even snappier: more crew on the bank, and the stabilising effect of a second boat in the lock chamber with you. And up we went. One of the side ponds. Home to lots of plants and animals having a jolly time. 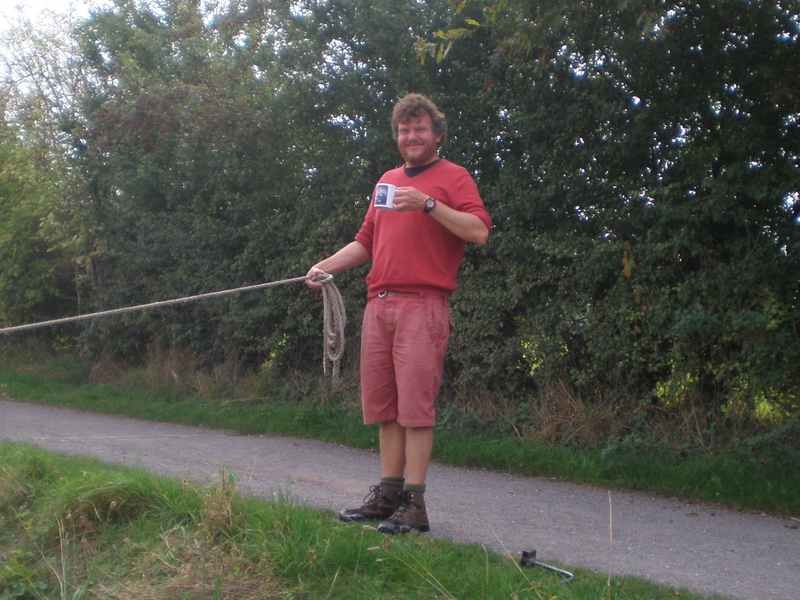 Felucca and Racundra scale the dizzy heights of Wiltshire. Suzie and Emily pass the time chatting to Glynn. And by and by, we reached the top. 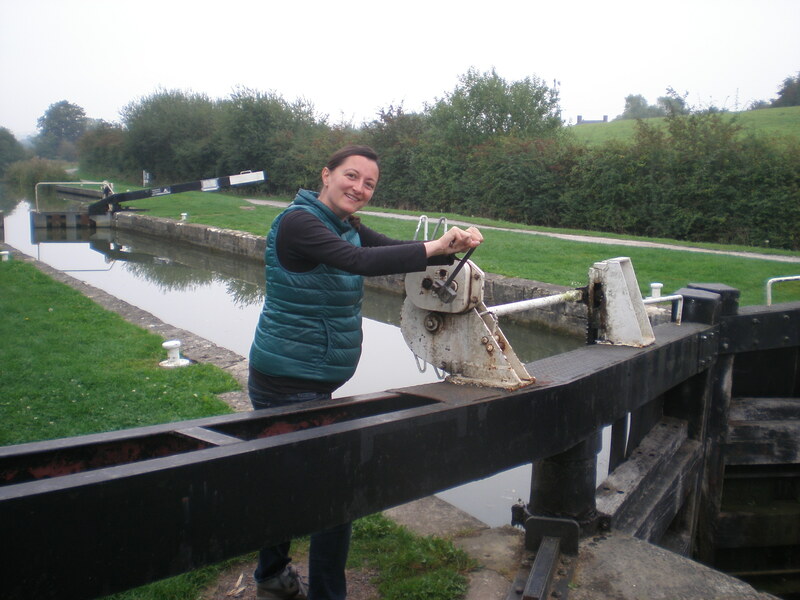 A most enjoyable experience: just the right balance of hard work and standing about; thoroughly interesting; and overall, rather uplifting, to the soul as well as to the boat! 7: Burnley Embankment. https://nbfelucca.wordpress.com/2013/07/12/wonder-4-burnley-embankment/ Undoubtedly an impressive bit of 18th century earthworks but rather underwhelming from the boat. 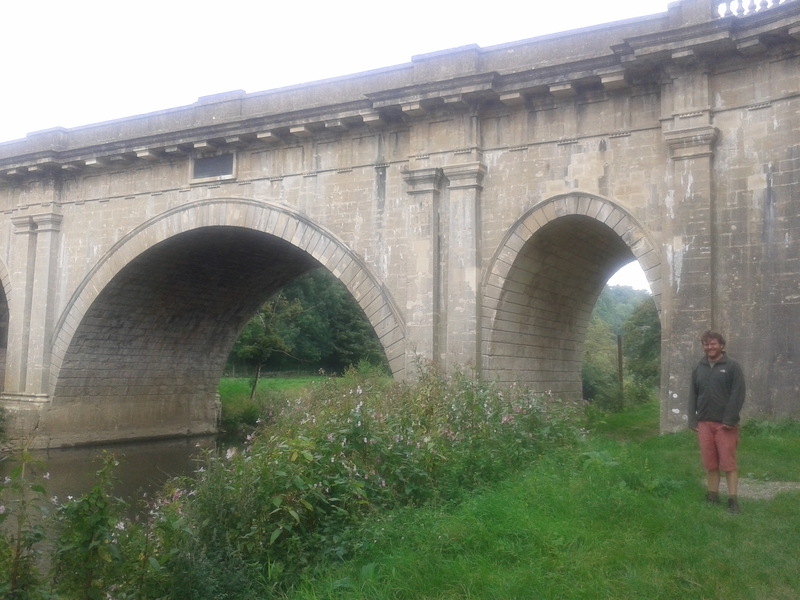 6: Barton Swing Aqueduct. https://nbfelucca.wordpress.com/2013/07/03/wonder-3-via-a-historical-detour/ Another good bit of building but needs a lick of paint; rarely swings nowadays. 5: Standedge Tunnel. https://nbfelucca.wordpress.com/2013/08/23/wonder-6-standedge-tunnel/ Magnificent, mad, long, dark, bendy, intense. The most Wild West of the lot, and the highlight of an outrageously wonderful canal; bit too much stress for the man at the tiller but unmissable. Not good for paintwork. 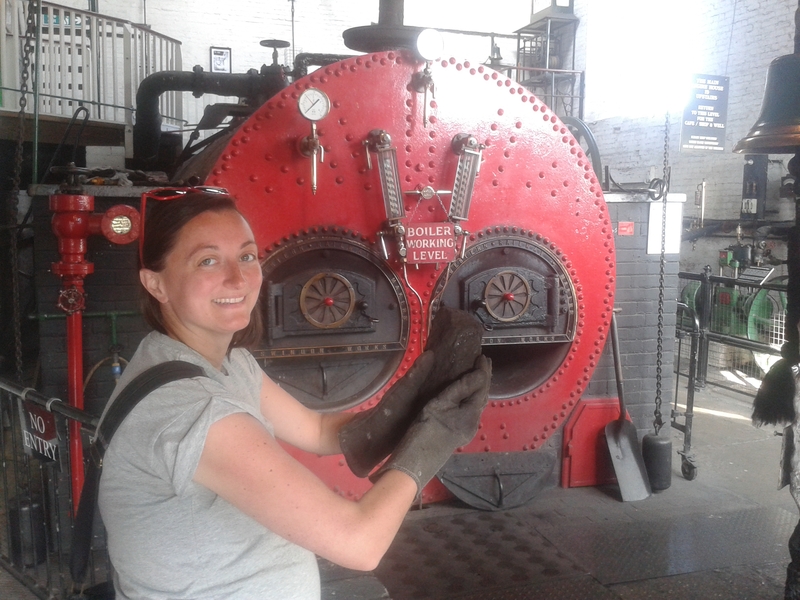 4: Anderton Boat Lift. https://nbfelucca.wordpress.com/2013/06/25/wonder-2/ A sixty-foot drop into the River Weaver in an unlikely Victorian bird’s nest of hydraulics and steel girders. Jaw-dropping and rather fun but just misses the top three on account of being rather passive from the boater’s point of view; you just moor up and get lowered, with no opportunity to crash into anything or show off. 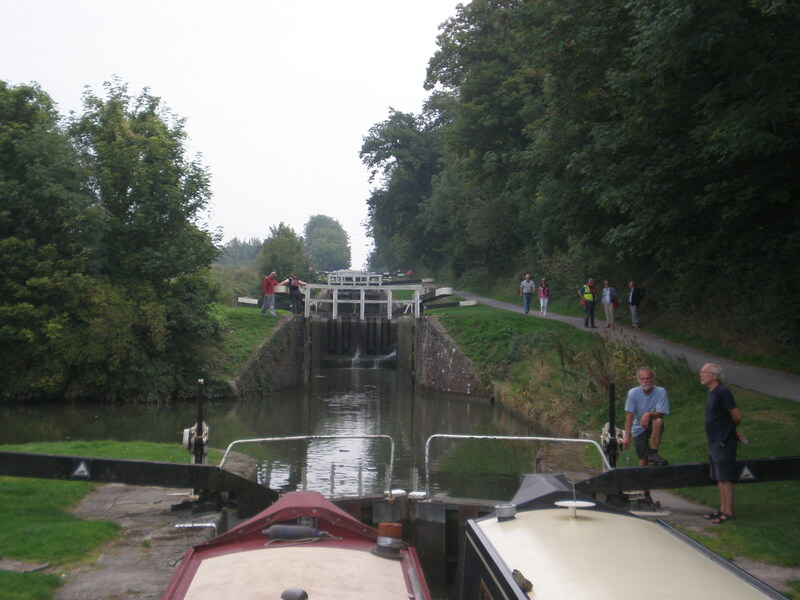 3: Caen Hill Locks. Lockwheeling extravaganza. 2: Bingley Five Rise. 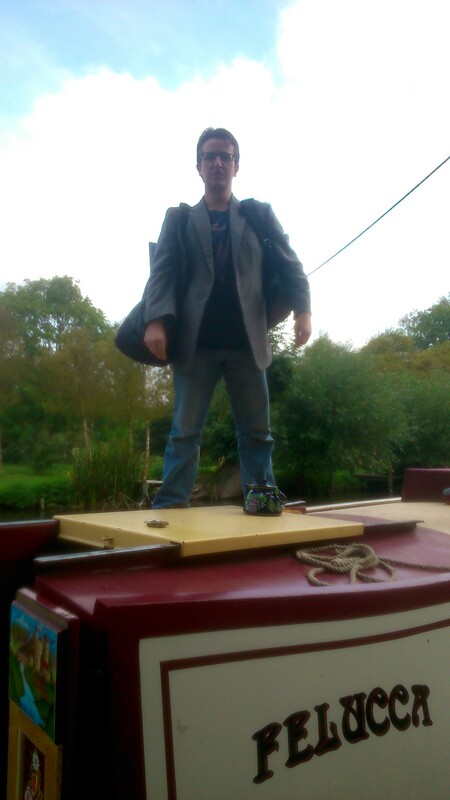 https://nbfelucca.wordpress.com/2013/08/03/belatedly-wonder-5/ The Hanging Gardens Of Babylon of the inland waterways of England and Wales. Pips Caen Hill on account of it being a staircase: as per the above but all telescoped into one barmy structure. 1: Pontcysyllte Aqueduct. https://nbfelucca.wordpress.com/2013/06/17/wonder-1/ https://nbfelucca.wordpress.com/2013/06/17/stream-in-the-sky/ Truly a stream in the sky. Peerless views of the Dee Valley in all directions; and a panic-inducing sheer drop just inches away. Glorious. Hats off to those incredible engineering visionaries of yesteryear; to Robert Aickman for compiling the list; and to all our various crews who put in the muscle to get us up/down/through/across all of these. Happy days! Tom says we haven’t been to enough pubs in Bristol. Off to rectify this pronto. Narrowboats are not really built for tides and the sea. They have no keel,so are rather unstable, and vulnerable to side-on waves. They have big spacious foredecks, ideal for sitting and enjoying a lazy gin and tonic, but also prone to filling up with tons of water if one is swamped by the raging seas. At 50 horsepower and 15 tons, they have a terribly sluggish power-to-weight ratio and are thus slow and under-equipped to escape the hazards of the sea: waves, weather, big shipping. Made it! All moored up and ready to hit the sack town.